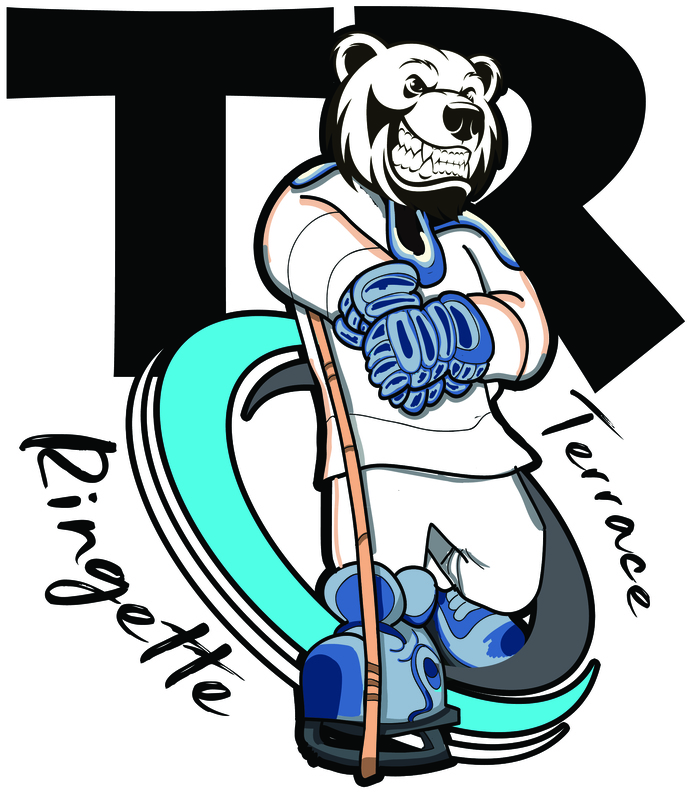 The Terrace Ringette Association has over 100 registered players every season with one or more teams in most divisions: FUNdamentals 1 (ages 4-7), FUNdamentals 2 (ages 8-9), U12 (ages 10-11), U14 (ages 12-13), U16 (ages 14-15), and U19 (ages 16-18). Terrace Ringette teams compete in the Northern League Association and travel throughout BC to participate in invitational tournaments. Our association hosts our annual tournament every year during the last weekend of October as part of the Northern League commitment. Over the years, Terrace Ringette teams have won Provincial Championships and other invitational tournaments. The local media is very supportive of our association. Ringette is an exciting, unique winter ice sport open to players of all ages, genders, and skill levels. Players use a specially designed straight stick to pass, carry, and shoot a rubber ring to score goals. The ring must be passed over each blue line, creating excellent opportunities for strategy, speed, and team participation. Ringette is a non-contact sport. Watch the Ringette Canada video What is Ringette? Ringette is played in age divisions, ranging from FUNdamentals (a learn-to-skate program) to 30+ (Masters). Divisions are open to players of any gender.